It happens to us all; we excitedly go out shopping and end up with a new bed/couch/dining room table/garden furniture (delete as appropriate). Especially at this time of year when our garden furniture may have been battered by the winter storms, we may feel like it’s time to reinvest in our favourite outdoor area. But what happens when the courier arrives and to deliver the new furniture but your old furniture is blocking the way?! Cue a moment of panic and hysteria when your realise that you don’t have room for that second wardrobe/armchair/desk. But never fear, 1300Rubbish is on hand. 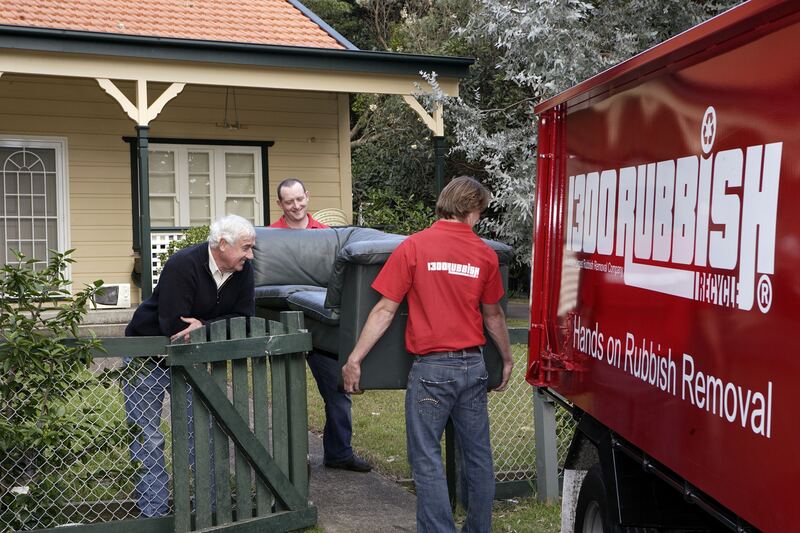 Throw the skip out with your junk; hands on rubbish removal is the new way to dispose of your furniture. So, whether you’re in a last minute panic or your merely thinking ahead, 1300Rubbish can help you with your furniture removal problems. No job is too big or too small for us, so whether it’s just the one chair, the one sofa or an entire house worth of furniture, we can come fully prepared to get the job done quickly and efficiently. We’ll even bring a broom – to sweep up afterwards! unique needs. 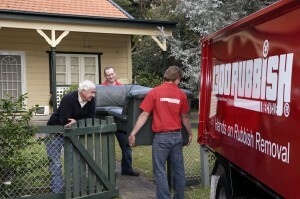 We understand that no rubbish removal job is the same, so whether you need one, two or three men we can help. You may need your removal done before work, or on the weekend. We can sort that too. Believe us, we’ve done all sorts in the past to keep our customers happy, so no request is too ‘out there’ for our skilled and hardworking team. weekly rubbish collection. That’s why hands on rubbish removal with 1300Rubbish is your one stop shop for large furniture removal. We’ll do whatever it takes to remove your furniture, without you having to lift a finger. So, what are you waiting for? If you’ve just bought yourself a brand spanking new couch and need to get rid of the old one, or if your garden furniture is in need of a makeover, give our friendly customer service team a call today on 1300 78 22 47 (Freetoll) for an obligation free quote.